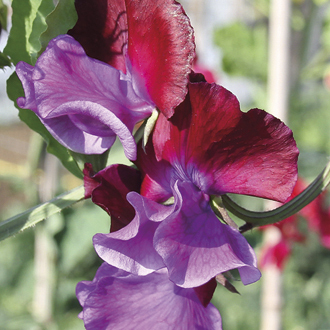 This is a large flowered variety with attractive waved petals, very fragrant and great for trellis and cut flowers. A hardy annual, it can be sown where it is to flower. Bred by Dr Keith Hammett. Sow indoors for surest results, 1.5cm (½in) deep, 5 seeds per 12cm (5in) pot of compost. Water well and place in a cold frame, greenhouse or cool windowsill. A temperature of 15°C (60°F) is ideal. Seedlings usually appear in 12-21 days. Keep moist. Pinch out the growing tip when two pairs of leaves have formed to encourage bushy growth. Gradually accustom plants to outside conditions (avoid frosts), before planting out 30cm (1ft) apart. Support with tall canes or netting. 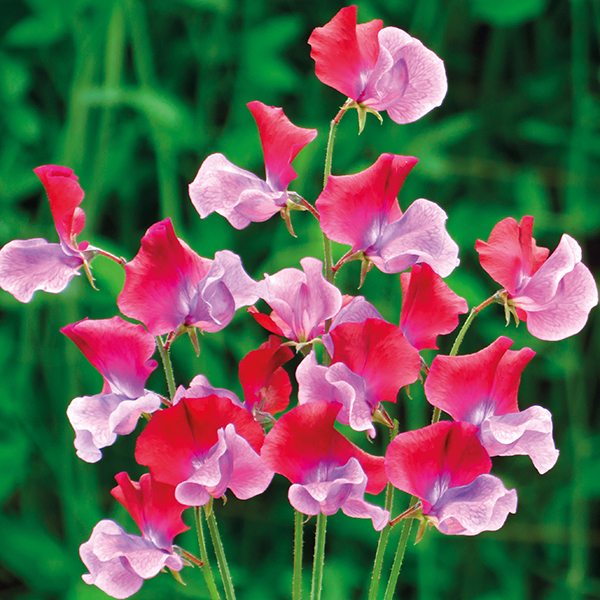 Or sow outdoors for ease, where they are to flower, 1.5cm (½in) deep into finely prepared soil which has already been watered. Sow 2 seeds together every 30cm (1ft). Remove weaker seedling, which can then be transplanted. Seeds sown in autumn generally flower earlier the following year. Pick blooms regularly to prolong flowering season. Seedlings are best protected against bird damage with a few short twigs. Autumn sowings should be overwintered in cool but frost free conditions.